Performance Incorporated offers corporate, sport specific, special population, and post-injury training and nutrition counseling in private and semi-private setting in two convenient NY and NJ locations. EXPERIENCED We are CSCS certified and have more than 28 years of experience in nutrition counseling, corporate, sport specific and post-injury or rehab training. Our experience includes but not limited to sports performance training, injury / stroke rehabilitation, training during pregnancy, cardiovascular conditioning, nutrition, and meal planning. PRIVATE In our very customized work with every client we achieve outstanding results. Our staff works one-on-one with every client in a private setting and empowers our clients by teaching them how to train effectively and hold themselves accountable for their own progress. DETAILED With use of state-of-the-art technology we ensure accurate performance evaluation and program design. Every program we have offers a strictly controlled approach of combining optimal movement, functional strength, plyometric and explosive power, functional flexibility, and recovery. We work with your physician and physical therapist to design your program if needed. We take a great pride in detail and science based approach that we apply when working with each client to achieve their specific performance or fitness goals. 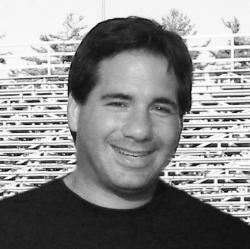 Joseph Garafolo, CSCS has over 25 years of experience in nutrition counseling and personal/sports training. His experience includes but not limited to sports performance training, body sculpting, injury rehabilitation, training during pregnancy, cardiovascular conditioning, nutrition, and meal planning. Joe will work with your physician and physical therapist to design your program if needed.